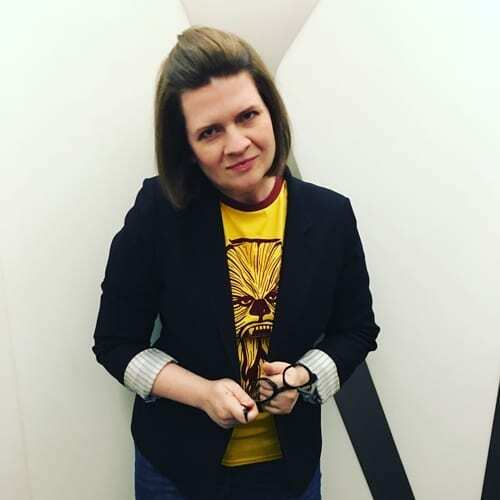 Emmy is a former character actress, and is occasionally recognized from her role as Mary Katherine Gallagher’s best friend in the movie “Superstar.” She lives outside New York with her husband, two kids, faithful dog and a flock of seven nifty chickens. 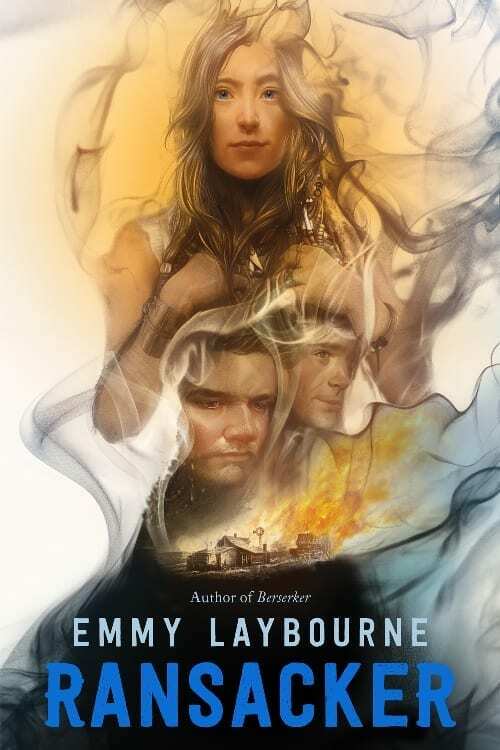 Visit her online at www.EmmyLaybourne.com. 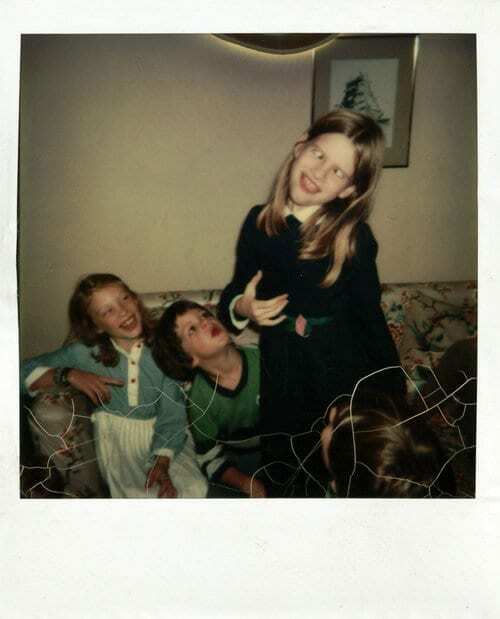 Can you tell this is a polaroid? Kerry Tatlock, my brother Sam, and cross-eyed me. Well hello there! Thank you for settling in for the long version of my bio! We’re going to have fun. I was born in the ancient year of 1971. I grew up in Manhattan. I was a goofball. In this picture you can see me with my best friend Kerry. Still my BFF, BTW and my darling little brother, Sam. (More on him later.) My parents had just about the coolest jobs you could imagine. My Dad was a TV producer and my Mom was an executive at Nickelodeon. To tell you the truth, she sort of invented Nickelodeon. You can read about her here on Wikipedia. And you can check out my some of my Dad’s incredibly cool work over here. I started writing at a very young age. The first short story I wrote was about a male alien named Grog. He was sending out a rescue plea because he’d just mated with his wife and she was about to kill him and eat him (praying mantis style). I went to Vassar college (class of ’93! Go Brewers!) and majored in English with a focus in creative writing. After graduating, I got a job as a PA for Comedy Central. It was there that I met Randy Sklar, who would later turn me on to the incredible comedy scene on the lower east side. It seems that all photographic evidence of this glorious time in my history has been lost, I am sorry to say. But they were some wild times. In the meantime, while not at my day job at Comedy Central, I was doing improv with a comedy troupe called Freestyle Repertory Theatre. We did school shows all around NY state. I learned a LOT about telling a good story at these shows. This was because if you didn’t tell a good story, the kids would start throwing stuff at you. I’m at the bottom, leaning into the lap of my pal Adam Felber. Somewhere along the line, I partnered up with Julina Tatlock (my best friend Kerry’s older sister) and we created a play together. At first it was going to be an improvised play, but we quickly realized someone needed to write it, so I did. It was called “The Miss Alphabet City Beauty Pageant and Spelling Bee.” The New York Post said it, “restores faith in our country’s comedic future.” The Daily News called it, “hilariously clever.” You can imagine – we were PSYCHED! Freestyle Repertory Theatre – I love all these people! Will Ferrell, Harland Williams and yours truly after our set at Second City. No idea why we are pointing up. I was cast in a big, fat, leading role in the Paramount feature film, “Superstar,” opposite Will Ferrell and Molly Shannon. I cannot express in words how incredibly fun it was to film that movie! I can only express it in bad dance moves while wearing fake braces. Incredibly fun! 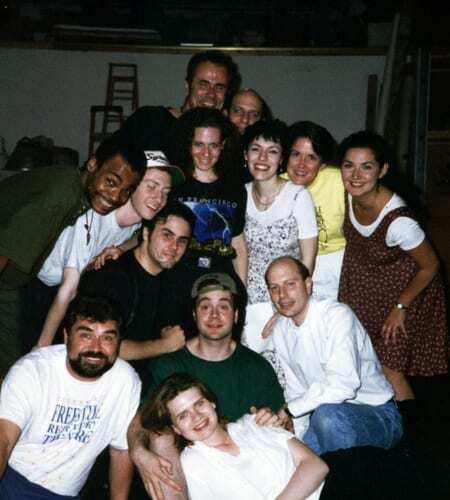 One night Will Ferrel, Harland Williams and I sat in with Second City in Toronto for an improv set. Maybe one of the most fun nights of my life! After shooting “Superstar” I moved to Los Angeles. I went on to have featured roles in the films “Nancy Drew,” “The In-Laws,” and “Lucky Numbers.” Then I booked a job on a great, but short-lived NBC sitcom called “DAG.” On that show, which was one of the most satisfying and delightful gigs I ever had, I got to work with David Allen Grier, Delta Burke, Paul F. Tompkins, Lea Moreno Young, Lauren Tom and the departed and dearly beloved Stephen Dunham, who we all miss quite a lot. 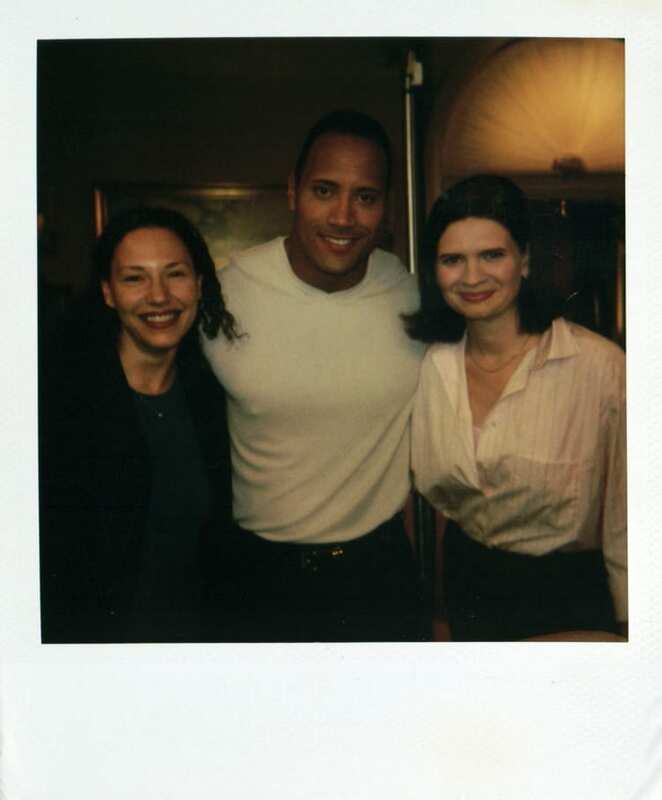 Me with my manager Maureen Taran and The Rock. Dwayne and I had a scene together in which I threatened to tie him to a chair. It was awesome! Delta Burke and I on the set of DAG. Now, all through my life as an actor I was writing and performing my own comedy sketches as well as improvising. I loved writing sketches and when I lived in NYC I’d often write a sketch or a song in the morning and perform it that evening. Imagine the rush! That was in the glory days of the lower east side comedy scene, where we all gathered every Monday night to perform (and to hear Marc Maron rant and rave) at Luna Lounge. Somebody really should write a book about that incredible scene. Maybe me, someday. As I said, all the time I was acting, I was also improvising and I’ve worked with some of the best: the Upright Citizens Brigade, Improv Olympic West, Chicago City Limits, Freestyle Repertory Theater and (my always favorites) the Heartless Floozies. In fact, my advice if you want to be an actor is to immediately get in a good improv class. Then, when you’ve got a few years under your belt on a Harold team, an agent will literally find you. After I got married and had kids, I decided I didn’t want to act anymore. Friends, it was the auditioning. It was killing me. I just could not handle the auditioning. I decided to turn to the writer in me. I applied to the film school at UCLA and ended up getting an MFA in screenwriting in June of 2006. While at UCLA, I won the Eleanor Perry Award for Excellence in Screenwriting from Women in Film for my screenplay, “Tulum.” That made me feel pretty great. After I graduated from UCLA, I was just about to try to make my debut as a screenwriter, but my hubby got the chance to attend the Parsons School of Design. We moved to New York, and instead of trying to launch a screenwriting career, I took my good friend Susanna Einstein out to lunch. Susanna also happens to be an exceedingly excellent literary agent and I took the opportunity to pitch her 5 story ideas. One of them was about 14 kids who get trapped in a superstore while civilization collapses outside the gates. I called it: WE ARE VAL-U-MART. Susanna said, “I love the concept. 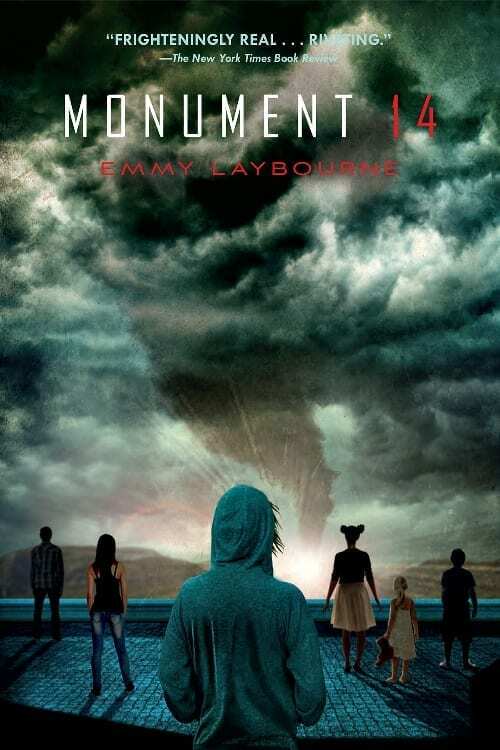 I hate the title!” And that’s how I started working on the novel that became MONUMENT 14. 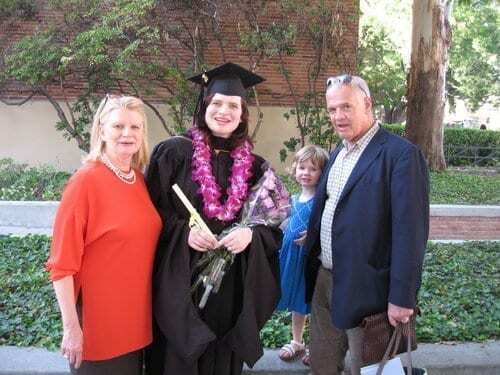 Graduation day with my mom, dad, daughter Ellie and my son Rex – who was inside my uterus. Chillin’. In March of 2015, I brought my two careers together in a new project called Spine Out. My producing partner Susanna Einstien and I ran the show for two glorious years. It was a live, stage event where novelists read personal essays. It was incredibly fun. We may get the show back together, but for now, RIP Spine Out. The cast of the first Spine Out: David Levithan, Leigh Bardugo, yours truly, Matt De La Peña and RL Stine. 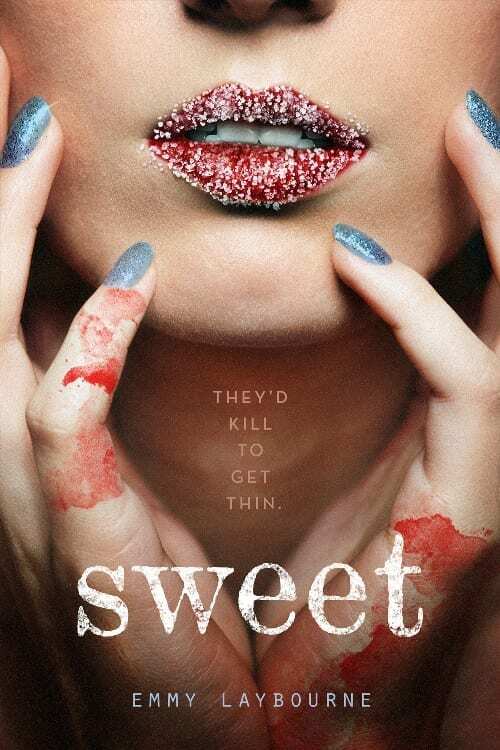 In June of 2015, my novel SWEET came out! I’m not going to tell you about it here, because you can read about it on its very own page, but I will tell you that I’ve had a lifelong battle with sugar addiction – and SWEET is partially based on my own experience battling food cravings. And here we are in the present!!! 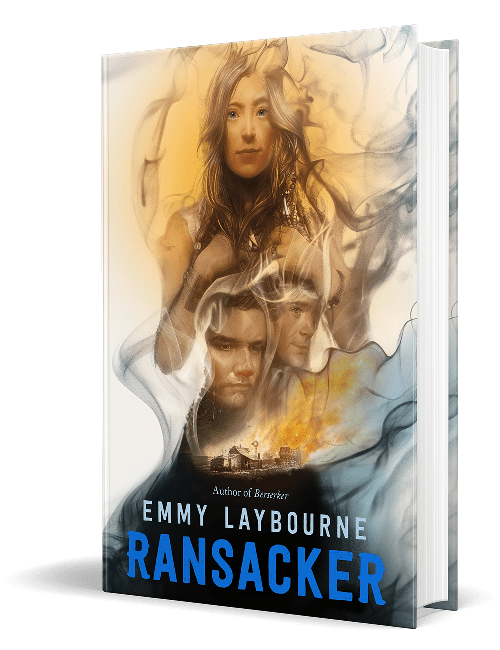 My most recent book, BERSERKER, is my favorite book so far. 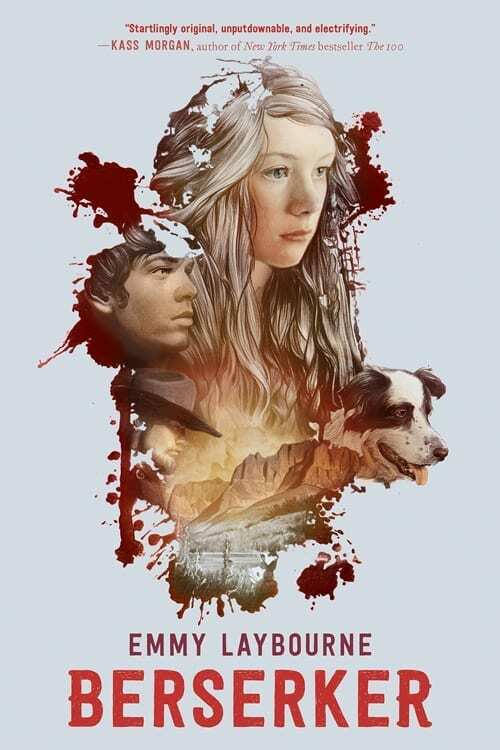 Set in 1883, it tells the story of a teenage immigrant Norwegian girl who must try to get her family safely across the Western frontier. Fortunately, they have ancient Viking superpowers. Yes, it is as much fun as it sounds. Friends, here we are at the end of my bio. Thanks for reading the long version. I feel we’ve grown closer together, don’t you? In the summer of 2015, I was invited to speak at Ted X George School. It was such an honor – and so much fun! Want to know more? Click this button to view a list of Frequently Asked Questions!